Yep you read that title right. Let’s face it, it wasn’t that long ago that I felt the need to hide my black sons on foreign soil to protect them from the frequent disappointment America can often issue to our young sons. Even more recently I submitted my first Huffington Post article titled, “Food Stamps to Passport Stamps,” an article that highlighted the perks of living abroad. So why move back home? I didn’t want to end up with true global citizens who are BROKEN people. I’ve recently had to decide between the importance of the fabulous Dubai Friday brunches, tax free salary, yacht rides and frequent family passport stamps and the consequences of raising fatherless sons and a daughter abroad. For three years I’ve wiped the tears of my children because our move abroad severely impacted their relationship with their dad. They went from having a very hands on dad to a father who would eventually change his phone number and go seven months with no contact with them. I felt like I was in a fight daily to compensate if not over-compensate for their loss. It was a fight that, on some days brought me to the brink of mental exhaustion. While we all talked a lot and prayed even more, it wasn’t until recently that I truly began to see the impact of their separation from their father. 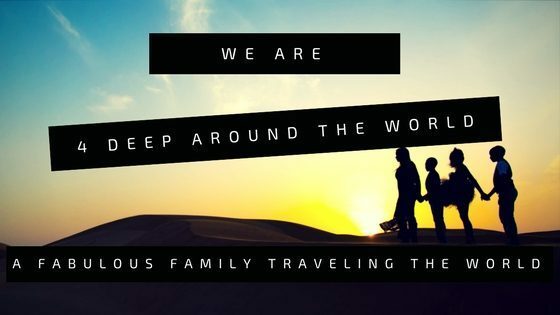 Our friends and family would frequently join us on Facebook live as we traveled, talked about life abroad from a single parent perspective and answered questions. The events of the last two live sessions made me re-evaluate our entire 4 Deep Around The World journey. During both sessions, my only daughter, on the verge of tears, would express her desire to move back to America to be closer to her dad. Each time I would hear her out then rattle off, as usual, the benefits of staying abroad. During my quest to get my twelve year old to understand the purpose and reason of our journey and to view this move as an opportunity of a lifetime, she made a statement that pierced my soul. It frustrates me to know that from where I stood, my beautiful, black daughter was seemingly minimizing her self-worth in order to justify her father’s lack of presence. That statement spoke volumes and alerted me that this crisis was bigger than I realized. 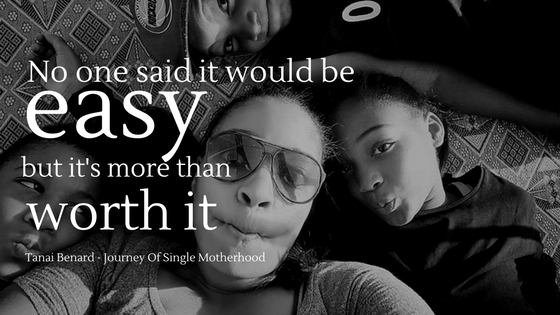 My stance, while on this journey of single parenthood, has always been to work as hard as I can to give my children the world. Heck, we have literally built a brand around doing just that, living our lives to the fullest. But what good is having the world at your fingertips and stamps in your passport if your soul is in shambles? For that reason – with much prayer and a spirit of discernment, I made the decision to return to a country where inequality, police brutality, race relations, and Donald Trump are at the forefront of discussion. This move to repatriate is a true gamble and the stakes are high, but it’s a risk I am willing to take. I was reminded that stepping out on faith is what this journey is all about. I will start over one million and one times if that is what’s required to ensure my children are happy and essentially whole while on this quest to give them the world. I realize the time for this chapter of my life has come to an end and it’s time for a new chapter to begin. We don’t know what the future holds for us as a family, but my hope is to allow time for my children to heal and get to know their father again. I want them to grow up knowing they are loved not just by me, but by their father too. I want my sons to know how to treat women and my daughter to know how to be treated by men. I want them to learn these and other lessons from their father as well as myself. 4 Deep Around the World is back in the States. Wow.Thank you for sharing this. It’s very deep and thought provoking. I’ve always wondered if it’s true what some people say about men not being needed, but what you’ve written sounds like the reality is different from the theory. Do you think that by moving back, their dad will step up to the plate? Only time will tell. I’ve changed the element that I had control over so at this point I will remain prayerful that he will meet them halfway. Welcome back you guys! Tanai, you’re a wonderful, selfless mom that many can learn a lesson from. I will pray for you and those wonderful kids as you all get used to the good old US of A all over again. Welcome back! Thanks for sharing your story and being vulnerable with us. I appreciate your willingness to step out on faith in both your decisions to travel with your children and to bring everyone back to the States again. Best of luck on this phase of your journey as it unfolds. Tanai For President! Welcome home 4 deep. You are truly an inspiration and I’m so glad to have been granted a seat at the table of your life. The courage to move and return is remarkable. Oh! Did y’all feel that!? I Did. Thank you. Thank you. Thank you 4 deep for holding space for me and others like me. Thank you for the inspiration to chase our dreams, listen to the spirit and be fearless. I hear everything you are saying as i couldnt take my son away from his dad but it also sounds like dad not wanting to make the effort. I hope it gets better. I wouldn’t have moved back for that reason (especially if my ex won’t meet me half way). I have many hopes and dreams for my 2 kids (boys) 2&12 AA well as for myself. Your story is truly motivational and inspiring. Life is short and yet so precious. We shouldn’t take anything for granted. I plan to grant my children the world. I want them to know all things are possible. Thank-you for sharing. Typo (AA) = as well as for myself.